Air Mesh Upper – Provides excellent ventilation and breathability. Toe Cap – Adds extra protection to the toe area. Synthetic Heel – Holds foot in place firmly whilst running. EVA Midsole – Provides lightweight, responsive cushioning. TPU Outsole – Durable outsole material. 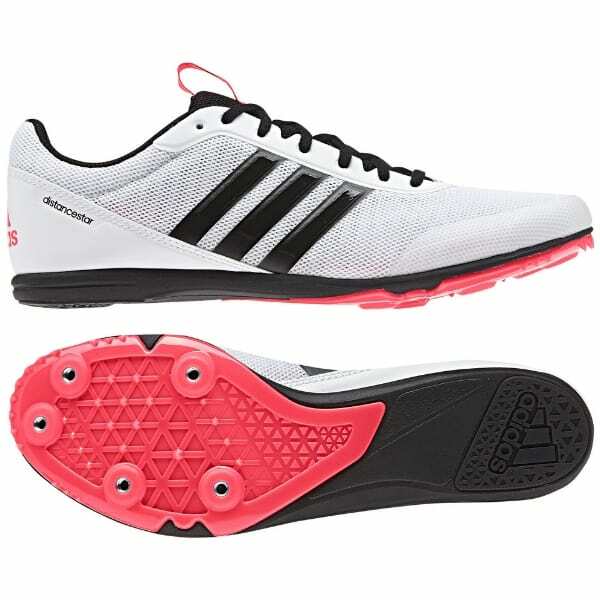 Forefoot Spikes – Propels you forward for maximum speed. Adiwear Rubber – Reduces wear and tear whilst offering great traction.